Introducing: Boys in Summer Blog Tour! From now on, every month we will have a blog tour showcasing sewing creations for boys. The theme for May is Boys in Summer. For the next two weeks, every day between 1 and 3 bloggers will show off their sewing projects for the boys in their lives. You will see swim outfits, summer tees, breezy pants, and more – all made for boys young and old, ready to bring on summer! By the way, I know it’s bad timing, but don’t confuse the blog tours name with my new blog name! Sewing Blue Blog Tours is for males young and old, while Made for Little Gents is more for the little guys. Got it? Good. So remember how I said there’s 23 bloggers involved in this round? I encourage you to get to know each of these wonderful women. I’ve compiled their profiles below -aren’t they all so pretty? And talented! And better yet – they sew for BOYS! I am dying to show you my latest project, but given the limited time I have and the priority of things, that will have to wait. For now there is one very important change you need to be aware of: Sewing Blue is now Made for Little Gents! In case you are wondering why the sudden name change and if I am going to be changing my blog name on a whim every year (I’m not! ), let’s get nerdy here and dissect things apart. As you know, my goal is to help share inspiration in creating things for boys. For the most part this includes sewing, but there are so many great things to create for boys that are not sewing-related. Each time I share one of these, such as the dragon birthday party or Peter Pan quote (though not to make anyone upset, yes these are great for girls too! ), I cringe a little at the name of my blog. For my non-sewing friends, don’t get scared off! Yes I believe everyone should learn to sew, but even if you don’t sew, there are so many things you can still create for your boys. So to help with that intimidation and redirect things, “Sewing” had to go. Let’s get real here for a second. Blue isn’t just a boy color. And blue shouldn’t just be associated with boys. Mr. R’s favorite color is currently “all of them”, though he does often get very excited about pink. And Mr. A has claimed purple as his favorite color. They’re just colors! It doesn’t matter who’s wearing it. In an effort to remove the stereotype of boys only wearing blue, I am removing “Blue” from my blog name. 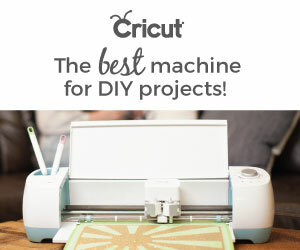 Whether it be sewing, crafting, decorating, or Cricut-ing, it’s all about making things here. I love to create. So. Very. Much. And that’s what this little space on the Internet is here for, to share mine and other people’s creations as well. So obviously, “Made for” just made sense. Raising children is such an interesting concept. From the moment your child is born, he is yours to care for and help develop into an outstanding member of society. Yes, they will grow. They are not going to be little forever. And hopefully, those wild, rambunctious boys will someday turn into gentlemen: men who are strong, who treat others with kindness, who are clean in their environment, self-care, and language. At least that’s what I want my three boys to be someday. And I want to remind myself of that every day. My boys are my little gentlemen, my “Little Gents.” Yours are too. So let’s embrace it. And that’s why Made for Little Gents was born, and Sewing Blue went to rest. So don’t be confused when you see me around with this new name. Be excited. Be inspired. Let’s create for our little gents!